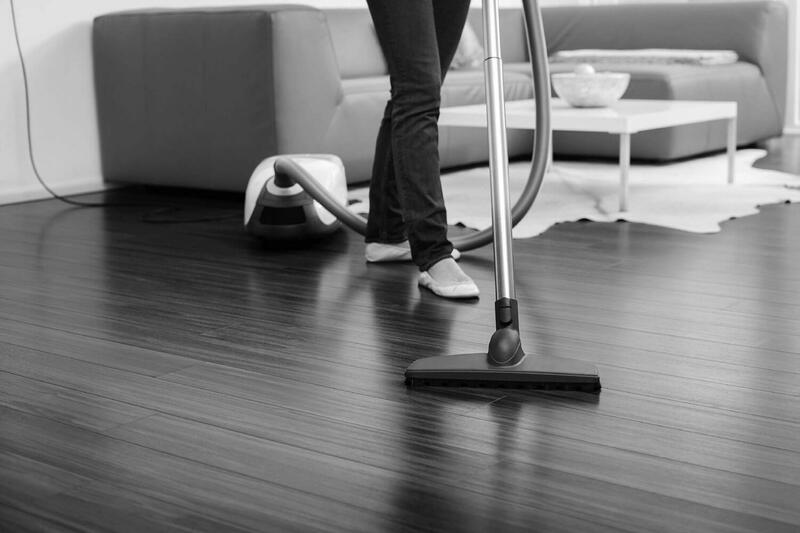 The Bissell PowerFresh Steam Mop is a great choice for anyone who wants to make mopping easier. This user-friendly, eco-friendly, versatile, and very efficient steam mop is great for tiles, as well as other, more sensitive kinds of floor. 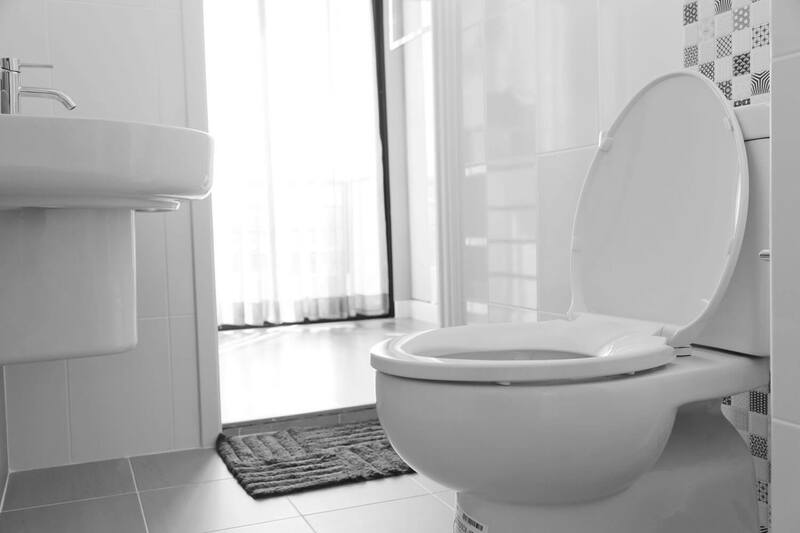 It will kill 99.9% of germs, and do it twice as fast as other comparable products. Mopping is a time-consuming, somewhat monotonous household chore, which may even cause lower back problems. It is still crucial to do it regularly, for the beauty of our homes and the health of everyone who lives there. Finding the right mop will make this task a lot more efficient. Every job gets easier when you’ve found the right tool for it. There are high-quality mops available on the market, and at reasonable prices too. It is worth taking the time to choose the best one for you and your home. You might prefer an option that uses steam to eradicate bacteria from your floors, or you might want a traditional mop with a bucket, or a spin mop if you don’t want to deal with dripping. We’ve tried out various types of mops, and chosen the best ones for use on tile floors. A lovely traditional option, here is a spin mop with a deep-cleaning microfiber head. It is very good at getting between tiles and reaching into hard-to-reach corners, which makes it a good choice for cleaning stairs, or the hidden surfaces behind household appliances. The microfiber head makes this a suitable choice for other types of floor as well, including hardwood, vinyl, and linoleum – the cloth will not damage even the most sensitive types of floor. What’s more, it does not leave streaks! The handle is collapsible, which is very important for avoiding lower back pain. It’s important to always make sure the mop is the exactly right length before using it! This model’s handle is 51 inches long when fully extended, which might be too short for some users. It is made of durable aluminum, and the collapsible handle makes it easy to store. The O-Cedar EasyWring’s best feature is the moisture control. This mop comes with a bucket with a built-in, pedal-activated wringer. You can avoid wringing the mop head, which makes for more efficient and cleaner work. 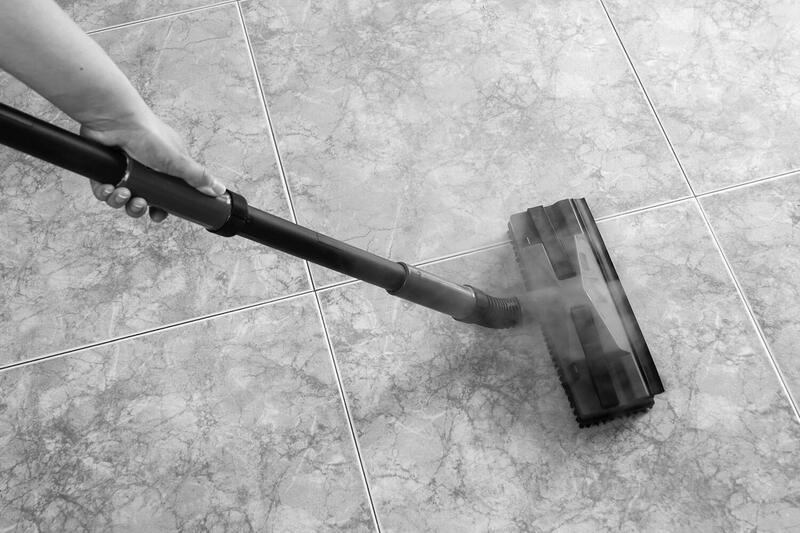 It only takes two or three tries to get the hang of wringing it out, and finding the right amount of moisture necessary to complete your mopping. Dripping will be a thing of the past. The bucket has a cover as well – a Splash Guard – which keeps the mop from staining your clothes while you are wringing it out. Another huge advantage of this mop is its simplicity. Spin mops do not break or malfunction. 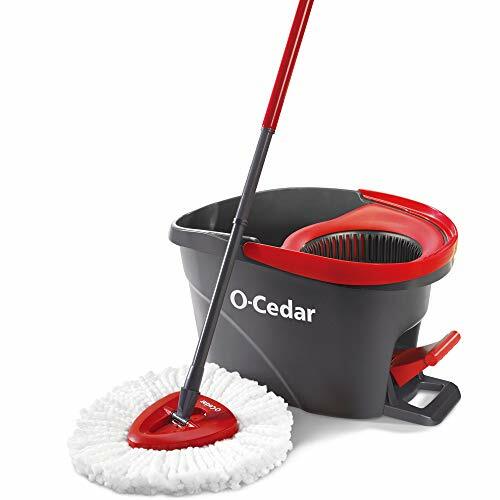 If you’re looking for a durable, efficient mop you can use while keeping your hands dry, the O-Cedar EasyWring might be right for you. Here is another great O-Cedar offering: a simple but very efficient steam mop. If you don’t like using chemicals on your floors, steam is an efficient, safe, eco-friendly option. Like any mop, this one requires refills, but it is no more complicated to use than the traditional option. The O-Cedar Microfiber Steam Mop has a microfiber head. It is triangular, for easier use in corners and other tight spots! 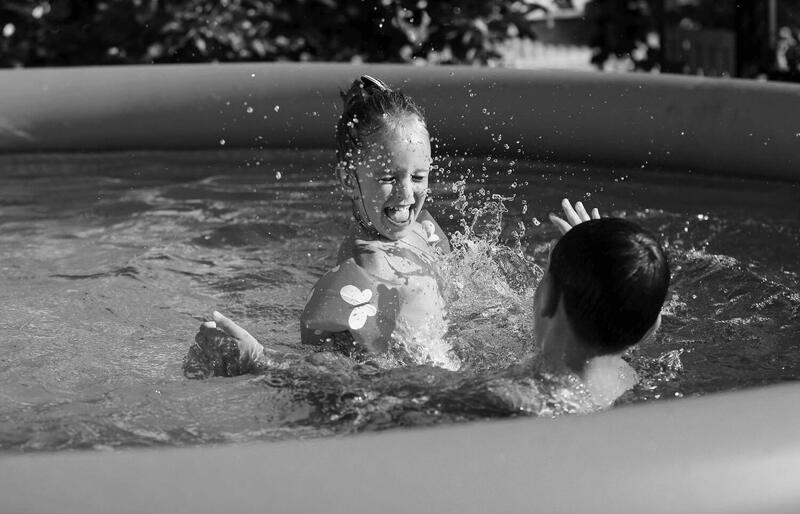 The microfiber absorbs dirt and grime, and kills bacteria very efficiently. It is gentle enough to use on hardwood floors as well as tiles. The kit comes with two microfiber pads, easily detachable and safe to put in the washing machine. This mop is easy to use and lightweight, which is good for avoiding strains. It glides easily across any kind of floor, and the snap-on carpet glider, makes old carpets look new, as it is possible to clean deeply between carpet fibers. But it’s the steam option that makes this product really interesting. After plugging it in, the mop heats up within 20 seconds. Several steam levels are available. This method of cleaning is more thorough and efficient than cleaning with traditional mops. According to extensive testing, the O-Cedar Microfiber Steam Mop eliminates 99.9% of bacteria from the surface of your floor. It is, understandably, a more expensive option than the spin mop above. The O-Cedar Microfiber Steam Mop also doesn’t come with a warranty in the US, which might cause problems down the line. This steam mop is #1 Best Seller on Amazon, and it is the most efficient steam mop available today. This is a great steam mop for anyone who needs to work quickly, and wants very respectable cleaning power as well. This mop comes with a detachable scrubber, which allows the user to clean any kind of stain, including grout, sticky and dried-on spots. There is a built-in easy scrubber as well, making it possible to double your efficiency compared to other steam mops. It is safe to use on any kind of floors, including hardwood, marble, stone, linoleum, and carpet. 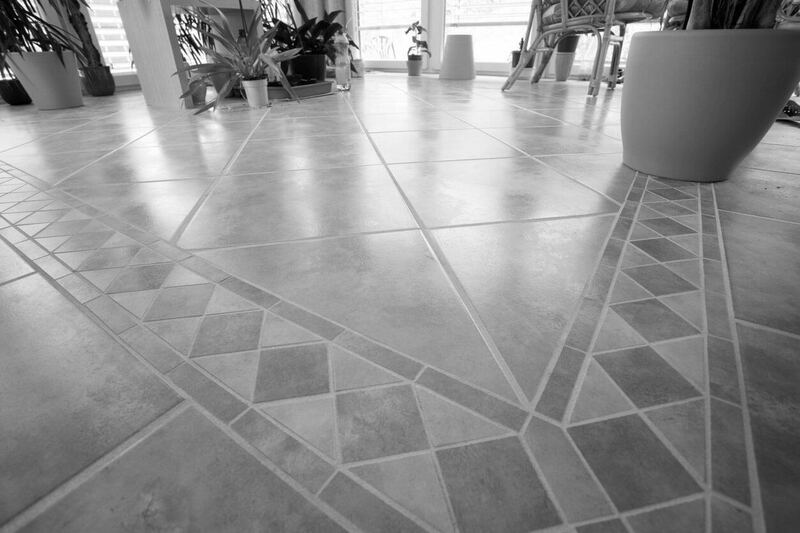 It’s a particularly good choice for tile floors that might not respond well to chemicals. The Bissell 1940 PowerFresh Steam Mop is the guaranteed to kill 99.9% of germs. Instead of chemicals, it uses steam technology, making this the eco-friendliest option. The water tank is large enough not to require frequent refills. It is absolutely forbidden to put any chemicals into it, and it is recommended to use distilled water rather than regular water for better productivity. The mop also comes with Febreeze fragrance disks included. The standard scent is spring breeze, and it really adds a freshness to your newly mopped floors! Another thing that sets it apart is the amazing effect it has on bare floors. This mop really makes them shine, without floor wax or any other chemicals! It was designed with ease of use in mind. You can choose between a Low, a Medium and High amount of steam, depending on the toughness of the stain, and on how frequently you’re planning to re-fill the water tank. The power cord is long, making it a convenient mop for any room. 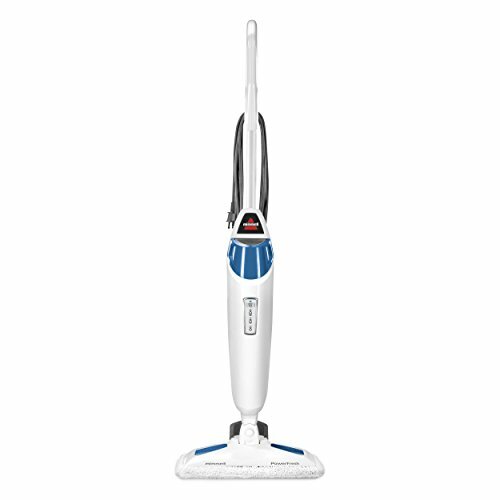 We have concluded that the Bissell 1940 PowerFresh Steam Mop is the best steam mop available on the market. It is perfect for cleaning very tough stains, and you can use it on any kind of floor without risking any damage. It is a simple and eco-friendly option, allowing you to remove chemicals from your cleaning process. It comes with a ‘spring breeze’ scent, which makes the process of mopping more pleasant as well. 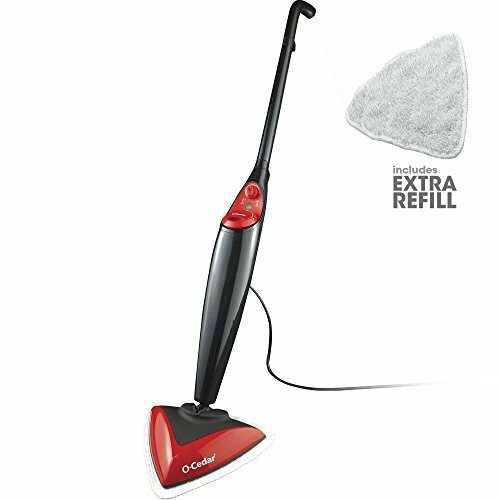 You might also consider the O-Cedar Microfiber Steam Mop, a very sturdy option at a lower price. This option comes with fewer extras, but it’s great for use on carpets, and the triangular shape makes this a good mop for cleaning corners. If you’d rather avoid plugging your mop in, and risking potential malfunctions, the O-Cedar EasyWring Microfiber Spin Mop is a very good option as well. It was cleverly designed to make the process of mopping quick and easy, with no unwanted dripping or splashes.